Houses & Homes VA: If you’re job hunting, why would you NOT work with a recruiter? If you’re job hunting, why would you NOT work with a recruiter? Looking for a job can be tough. In fact, depending on your skill set or chosen career path it can be incredibly frustrating. If you have been searching for a while with no results it might be time to consider working with a recruiting agency. There are some definite advantages to working with a recruiter instead of going it alone. First of all recruiters are hired (and paid) by the employer, not by the job seeker. This means that the services of the recruiter are free to the job hunter so money is not an issue. Secondly, recruiters will have access to employment opportunities that are not advertised or made known in any other way. Employers sometimes do this because they have not gotten the results from internet job sites or local advertising that they had hoped for. Using a recruiter also saves the hiring company a lot of time and effort when searching for qualified candidates to fill a given position. 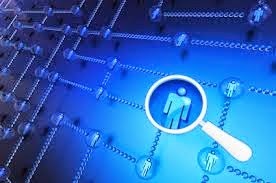 Finding a recruiter is as easy as taking a quick look in your local telephone directory or doing a quick search on the internet. The process is the same as applying for a position directly with the employer; you simply provide your resume and cover letter and they will arrange to have an interview with you. Sometimes the recruiter has the authority to hire you directly; sometimes they are basically “screening” applicants and will be able to arrange an interview with the hiring company on your behalf. Usually they are capable of directly hiring applicants so there is no need for a second series of interviews. If you are in a position that requires finding work as quickly as possible a recruiter could be the best move you can make. If you are reentering the job market and have the time to check out multiple opportunities you might also consider using an online service that will send your resume to thousands of recruiters automatically. This will provide you with a lot of exposure and could be a big help in finding your dream job. One such service is Resume Mailman but there are many others on the internet to choose from as well. Whether you are in need of immediate employment or simply want to see what better opportunities might await you, a recruiter could be a wise decision.